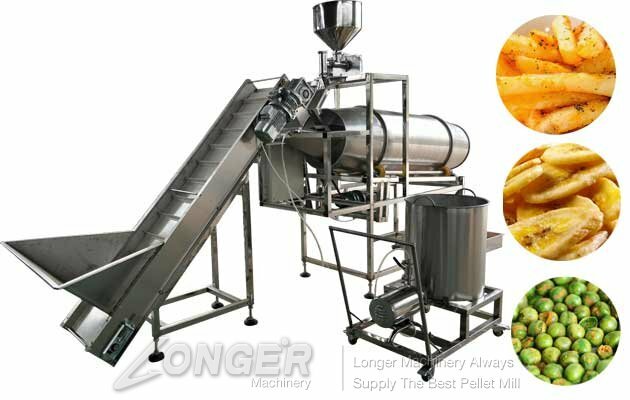 Our the type snack food seasoning machine can filling and seasoning autoamticly. 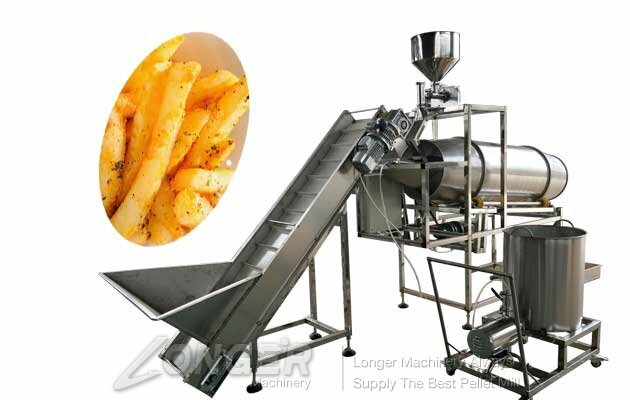 .We also can provide you the snack food frying machinen and the seasoned snack fodo packing machine. The flavors(seasonings powder) feeders speed can be controled that avoid too much or too less flavors coated on the food surface. Infinitely variable speed control software and coating drum provide high performance, ease of management, ease of use. 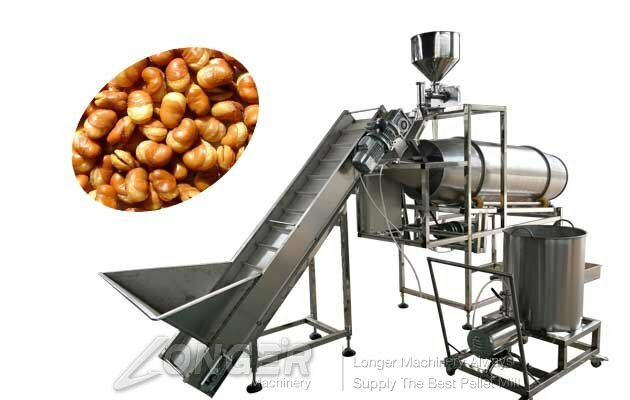 Automatic discharging type is available.